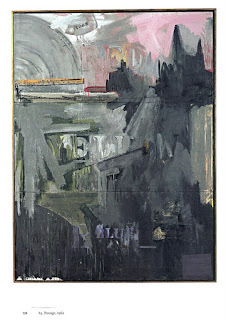 The work of Jasper Johns (b. 1930) represents an important breakthrough in art at midcentury, a period of radical change in American art. Themes developed in the first decade of his career was examined as a group for the first time in a comprehensive exhibition of 84 works, on view at the National Gallery of Art, Washington, January 28 through April 29, 2007. Jasper Johns: An Allegory of Painting, 1955–1965 presents some of Johns' most iconic paintings, drawings, and prints selected from public and private collections, including the artist's own. Departing from the format of the survey or retrospective, the show will trace the unfolding relationship of four specific motifs in Johns' works—the target, the "device," the stenciled naming of colors, and the imprint of the body—revealing the works' significance to the following generation of artists. The exhibition includes the largest group of target paintings ever assembled. After Washington, the exhibition will travel to the Kunstmuseum Basel, June 2 through September 9, 2007, the only other venue. The exhibition was organized by the National Gallery of Art, Washington. incorporate a row on top of small cubicle-like boxes with hinged drop doors, each containing a plaster cast of a body part. is affixed with the kind of compass arm that Johns used to create his target images. From Device Circle, Johns produced two simultaneous sequences of work: those that show the artist changing his manner of applying paint (in long strokes of the brush) and introduce the stenciled color names, and those that use or depict the device. In these works, he labeled and mislabeled colors using red, yellow, blue, and orange paint in the former, and black, white, and gray paint in the latter. Johns covered his head and hands with baby oil and left an impression of these body parts on mechanical drafting paper. The images were revealed when he rubbed them with strokes of charcoal. the composition of red, yellow, blue, and orange paint incorporates several handprints and the imprint of a skull. which also draw their titles from Crane's poems, form a sequence of works dedicated to Crane. are compilations of motifs and techniques. Diver (1962–1963), is an expansive but diagrammatic representation of the body as device. The monochromatic painting Voice (1964–1967) is also startlingly spare. Here the device moves through a field of gray paint, leaving behind a single curving band that brings us back to the image of the target, where we began. Over the past 50 years, Jasper Johns has created a rich body of work that has had profound influence on art in the U.S. and Europe. Johns was born in Augusta, Georgia, in 1930 and raised in South Carolina. After attending the University of South Carolina for three semesters, he moved to New York City at the age of nineteen and briefly attended a commercial art school. After service in the army, including a period in Japan, he returned to New York in 1953, where he flourished as an artist. 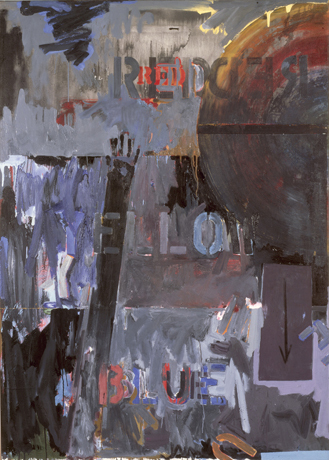 Along with his contemporary Robert Rauschenberg, Johns was widely acknowledged as one of the most important American painters of the postwar era and one of the greatest living American painters. He is also regarded as one of the greatest graphic artists of the 20th century, creating important bodies of drawings as well as prints in a variety of media. In 1950s New York, Johns met John Cage and Merce Cunningham, with whom he collaborated, producing sets and props for performances. Johns' work on canvas and paper from that period, often limited to a single motif against a monochromatic field, has since attained enormous historical stature. Subsequently, his work has grown increasingly complex, even quasi-autobiographical. Developments such as abstract painting and drawing in a crosshatch manner further distinguish Johns' contribution to the history of art since midcentury. The exhibition curator and catalogue author was Jeffrey Weiss, head of the department of modern and contemporary art, National Gallery of Art, Washington. 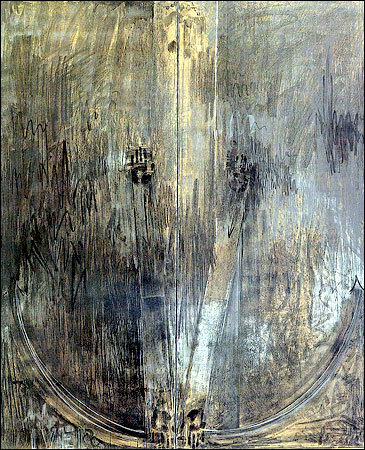 Jasper Johns: An Allegory of Painting, 1955–1965 was published by the National Gallery of Art, Washington, in association with Yale University Press, New Haven and London, and includes essays by John Elderfield, The Marie-Josée and Henry Kravis Chief Curator of Painting and Sculpture, The Museum of Modern Art, New York; Carol Mancusi-Ungaro, associate director for conservation and research, Whitney Museum of American Art; Robert Morris, American artist, critic, and Johns contemporary; and Kathryn A. Tuma, assistant professor of modern art, Johns Hopkins University.